We provide the reservation service for following hotels in Ulaanbaatar and tourist camps in countryside: Shangrila Hotel*****, Terelj	Mongolia	Hotel*****, Kempinksi Hotel *****, Ulaanbaatar Hotel **** , Chinggis Khan Hotel **** , Corporate Hotel****, Blue Sky Hotel****, Grand Hill Hotel****, Guide Hotel***, Premium Hotel***, Khabu Hotel***, Puma Imperial Hotel*** , Namuun*** hotels. The cost includes VAT, breakfast and reservation tax. The tariff works valid for all days of the year, except 9-13, July, which are the nationwide Naadam festival days. We will charge 15% additionally for booking rooms in Naadam Festival peak period. 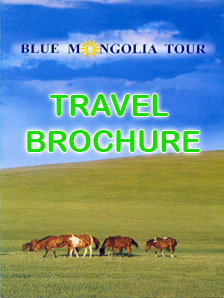 It is available to give reservation for Ger tourist camps in throughout Mongolia. Ger is Mongolian national dwelling with round shape and felt covering. The Ger tourist camp is consists of comfortable lodging gers, g iant gorgeous dining ger restaurant, buffets, gift shop and it offers good services, which are necessary for you. The Ger camp accommodation costs per night 70USD for one person. It includes 3 meals in a day, night accommodation, VAT and reservation tax. Chinggis Khan gorgeous hotel is located in Tokyo street and in distance of 25 km from the international airport. There are 184 air-conditioned rooms with total of 310 beds. Chinggis Hotel offers some luxury rooms for political, government officials and international business groups. The hotel possesses Asian and European restaurants, cozy night club, Korean air ticketing office, business center, fitness club, cashmere shop, coffee shop, post branch office, shopping arkade and conference hall. Wi-Fi is available in all rooms. At the hotel reception the currency can be changed in 24 hours. Ulaanbaatar Hotel is the first modern hotel in Ulaanbaatar. It is located just in the center of city and in 20 km driving from international airport. There are 119 rooms with total of 280 beds. Ulaanbaatar hotel possesses European Restaurant and Russian dining center, art shop, business center, beauty saloon and conference halls. Also with the guest request, the hotel serves with Mongolian Cuisines such as delicious dumplings and huushuur. The famous artists from Hollywood and special group travelers prefer to stay in this hotel. Wi-Fi is available in all rooms. At the hotel reception the currency can be changed in 24 hours. Khabu Hotel is situated in Railway street and in distance of 13 km from international airport and 0.5 km from Railway Station. It has 24 rooms with 50 beds. The hotel offers best services including European and Mongolian styled dining, secretarial complex service, laundry and beauty saloon service. Wi-Fi is available in all rooms. Namuun Hotel is situated in center of city and in distance of 18 km from international airport. The location is very suitable for both of officials and travelers. It has 25 rooms with 48 beds. The hotel has European and Mongolian styled dining restaurant and karaoke. All rooms in 2-3rd floors are coonnected with wi-fi service.